Announcement Spring Discount!!! Wholesale and Retail Sales! Volume Discounts available. Spring Discount!!! Wholesale and Retail Sales! Volume Discounts available. This rug is absolutely beautiful. Ran into a problem with size and the shop owner was accommodating and generous with resolving the issue. Couldn’t be happier with my experience and will definitely order from them again. Perfect! Service was fantastic and received from Turkey 4 days after purchase!!! Arrived and just as described!!! Loved it. 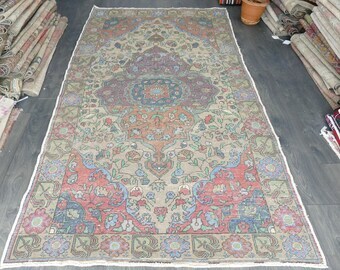 Vintage oushak runner rugs in store..
Great rooms begin with great rugs. I am originally from Central Anatolian region of Turkey where handmade rugs, kilims and home decor items have been part of the culture and the heritage. My father has been in handmade rug and kilim business since his childhood. I grew up in a house where these beautiful hand made pieces of art were part of our life and loved the unique designs and natural colors. These rugs and kilims are stitched by talented hands at home and products of months of hard work. I've been in Pacific Northwest area for more than a decade and Anatolian Decor was born with my desire to share these art pieces and home decors with everyone around the world. My parents and talented team of professionals in Turkey are collecting unique vintage items, decors and art pieces and have them ready to ship to you. I'm ready to answer any questions you may have and share my experiences if you like. E-mail us for wholesale prices.